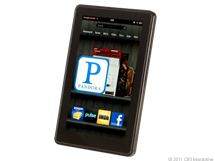 The Kindle Fire is just about ready to launch, and not since the launch of the Motorola XOOM has an Android tablet been so hotly anticipated. With a little help from the mainstream media, consequent consumer excitement, and - last but certainly not least - Amazon's front page (all things manufacturers like ASUS could only dream of), it has skyrocketed to the top of many tech enthusiasts' holiday shopping lists. And at $199, it won't break the bank, either; the only thing that could possibly hold it back now would be, well, an underwhelming user experience. So has Amazon ironed out the kinks? Let's take a look at four reviews to gauge the Fire's chances. In an appropriately melodramatic introduction to his review, Gizmodo editor Sam Biddle advised Apple to "be afraid." 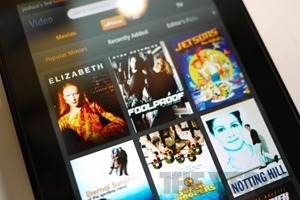 The infamously Apple-oriented tech blog was surprisingly upbeat about the Kindle Fire, venturing to say its simple, intuitive UI "works perfectly" (unlike Apple's "dodgy attempts"), its multimedia capabilities are "all tremendous, easy fun," and its overall experience will make you "feel a little powerful ... in a consumer couch potato kind of way." Of course the review wasn't void of complaints: Sam came across the occasional lag, and the lack of a home button was annoying as well. Overall, he deemed it a great tablet for its price (and the best Android slate to date), though not quite as powerful or capable as the iPad. Joshua Topolsky of The Verge (formerly This is my Next) concurred with Sam on the whole, though he seemed to take far more of an issue with the tablet's aesthetics. 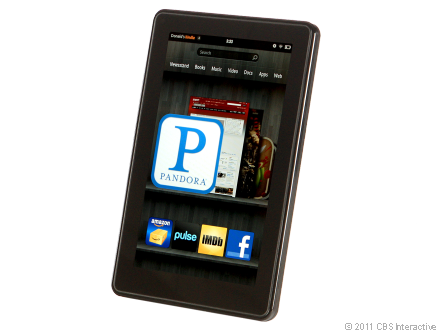 By all appearances, Amazon used RIM's BlackBerry Playbook as the reference design for the Fire, which in JT's view "isn't necessarily bad," just "incredibly unoriginal." Still, the Fire's size and shape are next to ideal, so there's that. The hardware (including the 8hr. battery) was mostly fine; however, while the screen was decent enough for most media, it seemed to have scrolling issues that were in all likelihood largely due to software glitches. That said, the vast majority of the Fire's software experience was said to be fine - with the exception of the odd unregistered tap, it was responsive enough, and the UI was great. 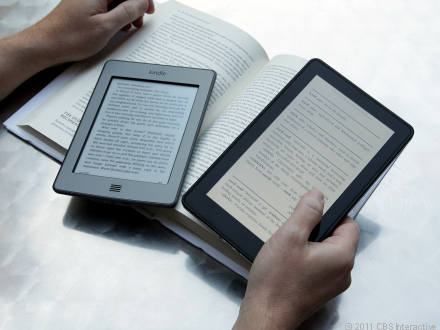 The device also ships with several Amazon-specific apps, including an email client, a book-reading program, playback options for music and video, and the super-cool Whispersync - a method of remembering where you left off in a book, movie, etc., regardless of which device you last viewed it on. Really, the only major software downside he found was the browser, which has certain "bright spots" (i.e. tabs), but overall provides an underwhelming experience. All in all, Josh found the Fire a "really terrific tablet for its price," but was disappointed by the bugginess of its software and the Amazon Appstore's limited catalogue (no, the Market isn't available). CNET's senior tablet editor, Donald Bell, gave Amazon credit "for seeing something that no other manufacturer--not even Apple--was able to grasp": that consumers "just want to be entertained." 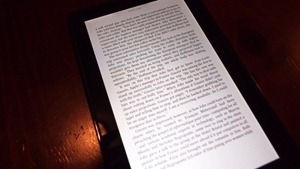 And while he agreed with the previous reviewers that the Fire isn't quite as powerful a tablet as the iPad, he thought its media capabilities (specifically its options for e-book, video, and music browsing) were stellar, and the corners Amazon had to cut in order to keep the Fire's price at a low, low $199 were shaved with "scalpel instead of a chainsaw." Namely, there's no GPS, no maps, no Bluetooth support, no cameras, no microphone, no chat client, no calendar, and no SD card slot. But it is precisely these omissions that allow for a seamless, hassle-free user experience the likes of which no other tablet can boast. In fact, the only missing item of note was Amazon's Cloud Drive app, though it isn't all that surprising given the Fire's focus on content consumption as opposed to content creation. 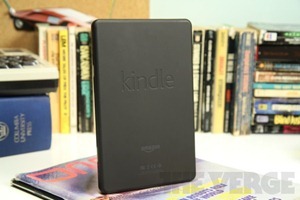 Donald came to the conclusion that at its price point, the Kindle Fire is the best gadget in town. 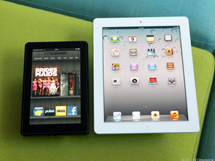 Of course, the iPad is more capable, and even the 3.5-inch iPod touch technically has more features; but neither of those devices are veritable competitors to the Fire - this is another class of device altogether. After a string of mostly positive reviews, Jon Phillips' Wired article dropped. 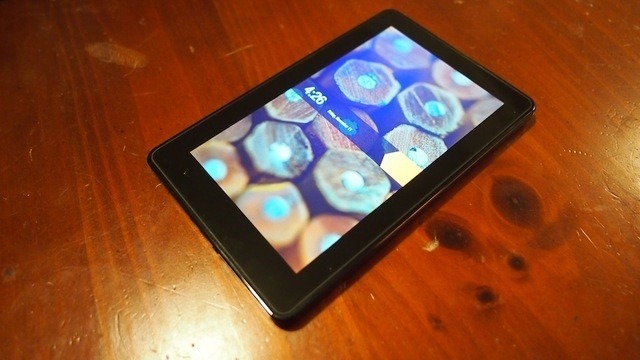 And with a title like "Is this really the tablet everyone's talking about? ", there's no question that his review is a bit, shall we say, different from the rest. In his intro he states that the first 5 minutes or so of using the Fire are filled with joy - but those 5 minutes are regrettably short, and afterwards, the user is shown the true face of Amazon's so-called iPad competitor. For one thing, Jon found the 7-inch screen far too small for many "key tablet activities"; for another, its hardware is undeniably outdated. But the biggest issue is the slate's book- and newspaper-reading options, both of which are hindered by the screen: it's too glossy for the former and has the wrong aspect ratio for the latter. 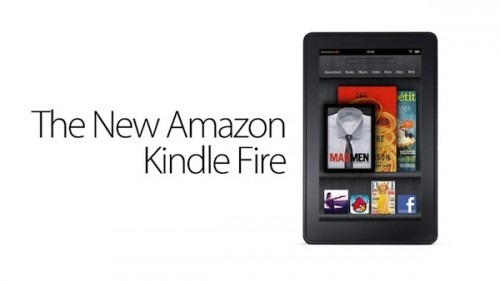 The Fire's saving grace is its video playback and video store (for a sample, look at Amazon's website). As for the device's app selection, it's limited to the still-nascent Amazon Appstore, though most apps work very well. The hardware, meanwhile, is passable but nothing exceptional, leading Jon to conclude that while it's "a great platform for casual video playback" and "a perfectly fine Android 2.3 app device," it's ultimately not worth it. Jon's advice? "Wait for the Kindle Fire 2," or "consider an iPad." 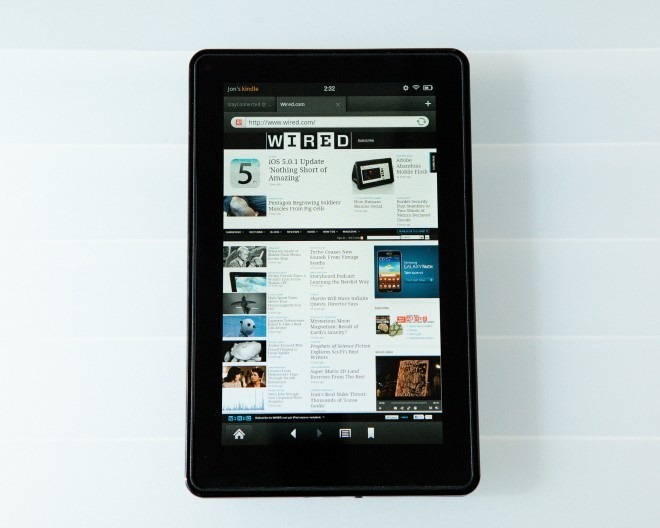 With the exception of Wired's review, the overall verdict on the Kindle Fire seems to be this: though Amazon's offering may not pack the most features or horsepower of any tablet on the market, it's still a great option, if only because of its affordable $199 price point. Its media capabilities (e-books, videos, and newspapers/magazines) are almost certainly up to the task, and its UI, though hardly perfect, isn't half bad. Really, the Kindle Fire's only veritable hindrance appears to be its lackluster (if fast) Silk browser and the remaining bugs in its OS. Only time will tell if Amazon will commit to fixing those bugs and improving on what just might be the best for the buck Android tablet to date.